Maragogi is a sleepy fishing village that still has a very authentic feel. We are located in a quiet and safe area the perfect spot for a relaxing holiday. 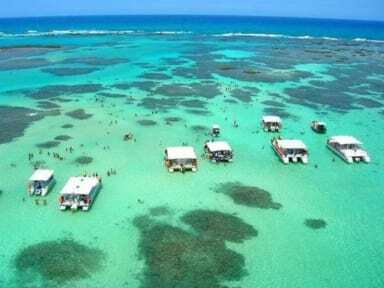 The hostel is located on Maragogi's main beach in front of Maragolfinho Restaurant. We have a cool common area with cable TV, wi-fih and a priceless view of the ocean. We have a fully equipped kitchen with cooker, microwave and fridge for guests' use. We organize tours to the natural pools of Maragogi and to the other beaches of the coast known as the Brazilian Caribbean for its white sand and crystal-clear waters. Was here a few days and was impressed by the staff. Even though they speak little to no English they went out of their way to help me. Maragogi is a small town and you have to know a little bit of Portuguese to be able to navigate. Beautiful waters and nice people. Lugar incrível!! Melhor café da manhã do mundo!! Foi tratado como família aqui, nunca vou esquecer da experiência aqui. Good place to stay in front of the beach! The owners don't speak English, but their hospitality will not get lost in translation! Don't let this deter you from staying here, the Brazilian hosts are sure to make you feel at home, throughout our stay they went above & beyond. They took over about 6 weeks ago and are working on improvements with the facilities & they're open to feedback. The hostel is across the street from the beach! I'll cherish my memories of this hostel and hope to make the 10-hour journey back to Maragogi again soon. 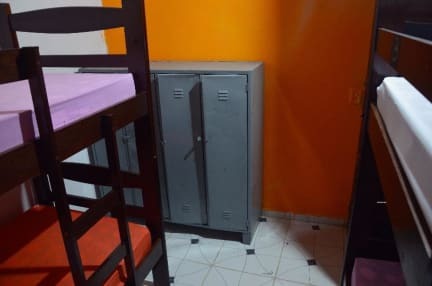 Hostel incrível, uma atmosfera magnífica com os outros Hosters. Me senti em casa, uma vista do mar incrível. Super recomendo. Nice atmosphere but bathrooms were filthy and the smell came into the bedroom. Often there were no staff around, and the front door was never locked.